Life on the road can be unpredictable. If you get involved in a road accident, call HI-WAY WRECKER SERVICE Bethel Springs, TN for fast and reliable support! Our towing company offers professional wrecker services and roadside assistance. Get in touch with us when you are confronted with road emergencies. From tire changes to auto or truck towing, we have you covered. Owner Jeff Faulkner of Hi-Way Wrecker Service is proud to announce the opening of its second shop in Bethel Springs. 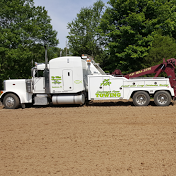 Our towing company has been consistently delivering superior wrecker services to the Henderson, TN community for the past 2 decades and is happy to start serving the McNairy and Hardin Counties as well. If you need a timely response to your specific road accident or emergency, call us! Our experienced staff is ready to provide a fast emergency response 24 hours a day, 7 days a week. Did your truck just break down? Contact us today for prompt roadside assistance! Our team will head directly to your location and help you out. 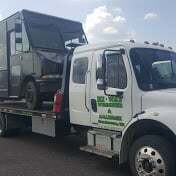 We can also provide wrecker services should your truck need towing. We specialize in moving cars, trucks, forklifts, sheds, and more! Call us today to learn more about our towing company and what we have to offer. We look forward to serving you!